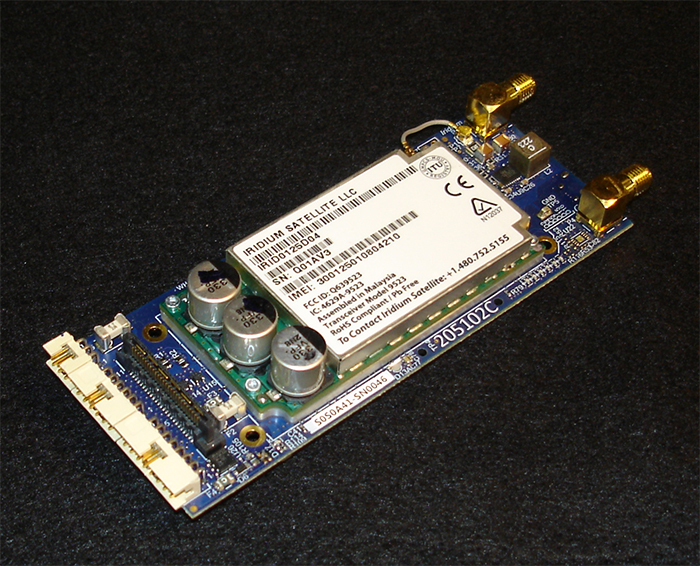 The Iridium interface board can provide RUDICS and Short-Burst Data Iridium satellite communications. It also includes a GPS module for positioning and pulse-per-second timing. The board includes an Iridium 9523 module with SIM card holder and a u-blox MAX-7Q-0 GPS module in a Micromodem-sized form factor such that it can be mounted on the Micromodem stack in certain applications. It also includes an on-board low-power microcontroller and FPGA to allow for custom applications to interface between the Micromodem or other sensors. 205102-ASM details mechanical dimensions, connector locations and pinouts.